For many people in eastern India, Bangladeshi means Bengali. It indicates that everyone living in Bangladesh must be a Bengali. But in reality, Bangladesh is a tiny neighbouring nation bordering West Bengal, Assam, Meghalaya and Tripura with a secular identity comprising various ethnic tribes. The populous country is however dominated by Muslim population where almost everyone speaks Bengali language. The people of Assam somehow maintain a strained relationship with the Bengali people, even though some of the distinguished Bengali personalities immensely contributed for the growth of Assamese language and culture. One can remember the contributions of Netaji Subhas Chandra Bose, Ashutosh Mukherjee, Prafullachandra Ray, Shyama Prasad Mukherji, Annada Sankar Ray, Rajmohan Nath, Padmanath Bidyavinod, Bibhubhusan Choudhury, Arun Purkayastha, Arun Guha, Hemanga Biswas, Baidyanath Mukherji, Basanta Kumar Das, Arun Chanda, Amalendu Guha, Nanda Benarji, Pulak Banerji, Rabin Dey (Rangman) etc for Assam since time immemorial. So when West Bengal chief minister Mamata Banerjee publicly criticized the process of National Register of Citizens (NRC) updation in the State, many motivated Assamese intellectuals came out with the easy conclusion that Bengali can never be friend to Assamese. Knowing or unknowingly with the hurried conclusion they simply disgraced the sizable Bengali speaking populace, concentrated primarily in Barak valley of southern Assam. Emerged as a straight forward and energetic politician of the country, Banerjee on January 3 made a controversial statement that the NRC updating process was a ‘conspiracy to drive away Bengali people’ from the State. She also asked her party Parliamentarians to raise voice against the NRC in the national capital. Later a public meeting was also organized in Kolkata on January 12 to gather public supports against the process, but it witnessed only lukewarm response. But everyone knew that Assam was updating the NRC under the direction and supervision of the Supreme Court and its first draft was published on the midnight of December 31, 2017. The much-awaited updating of 1951 NRC comprised 19 million people out of around 32.9 million total applicants in the first draft. The process of updating began in 2013, which received 65 million supporting documents comprising over 6.82 million families residing in the State. The second and final part of the draft is expected to be published by this year. One may recall that it’s a follow-up action of the Assam Accord, signed by the leaders of All-Assam Students Union (AASU) and Asom Gana Sangram Parishad in 1985 with the Union government in New Delhi in presence of the then Prime Minister Rajiv Gandhi. The historic memorandum of understanding puts responsibility on the Centre to detect and deport all migrants (read East Pakistani and Bangladeshi nationals) who entered Assam after 25 March 1971. In other words, the agreement accepted all residents prior to the dateline as Indian nationals in Assam even though the movement was run with the spirit of 1951 as the base year to detect illegal migrants like the other parts of the country. It also mentioned about constitutional safeguards to the indigenous communities of Assam to be facilitated by the Centre. The influx of illegal Bangladeshi migrants remains a vital socio-political issue for Assam along with Arunachal Pradesh, Nagaland, Meghalaya and Manipur of northeast India still today. With the emotion and the anxiety of turning minority in their own land because of unabated influx from the neighboring country, the people of Assam joined in the movement, which culminated with the agreement. The development finally empowered the Asom Gana Parishad (AGP), born out of the popular movement with the same leadership of AASU coming to power in the State for two separate terms, but shockingly the regional party leaders shamefully followed their incompetent predecessors and ended up in betraying the people over the pertinent issue. Presently the AGP is an ally to the Bhartiya Janata Party (BJP) led government at Dispur under the chief ministership of Sarbananda Sonowal, a former AASU president. Unlike the previous Congress and AGP regimes, the new government that came to power in May 2016 has seemingly taken the issue of influx seriously. The people of Assam have reposed faith over the authority on the updating of NRC and hence contrary to the widespread apprehensions of unpleasant situation arising after the release of the NRC draft, no unwanted incidents were reported from any part of the State. The government authorities along with various political parties, civil society & advocacy group representatives and the media definitely deserve appreciations for their pragmatic roles in maintaining peace across the region after the release of the NRC draft, even though many people could not find their names in the list. However, Banerjee wanted to be a saviour of Bengali people and started commenting against the NRC Assam updation. But amazingly, not to speak of her State people, she even could not convince the Bengali speaking people of Assam. They denounced her intention and clarified that the Trinamool Congress chief was never a guardian or spokesperson for the Bengali community. They had a relevant question to her: If Banerjee was so concerned about the fate of Bengali people, why she had been opposing the Centre’s Citizenship (Amendment) Bill 2016 that would grant citizenship to the persecuted religious minorities from Afghanistan, Pakistan and Bangladesh after due processes? If the citizenship act is amended in Parliament, hundred thousand Hindu Bengalis (with few other communities) would get Indian citizenships. Leaving aside few politicians in Barak valley, Sadou Asom Bangali Parishad, Bengali Students’ Federation of Assam, Nikhil Bharat Banga Sahitya Sabha etc denounced Banerjee for her disrespectful comments against the apex court and the people of Assam. They stated loud and clear that the Bengali and Assamese people were living in Assam happily and ‘no outsiders should poke their noses into it’. 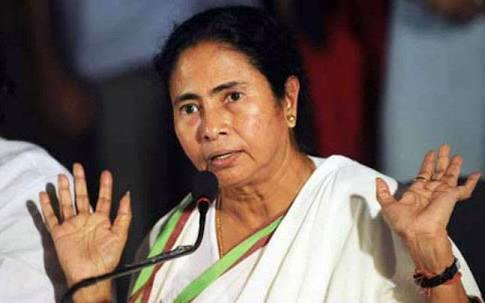 Meanwhile, politicians in power, social outfits, number of distinguished individuals of Assam came with critical comments against the Bengal chief minister. They were unanimous in their views that Banerjee was trying to communalize the process for the sack of her vote bank politics. Assam government spokesperson Chandra Mohan Patowary, powerful State minister Himanta Biswa Sarma, Assam BJP president Ranjit Das, AGP president Atul Bora, Assam Congress president Ripun Bora, AASU advisor Samujjal Bhattacharya, Assam Public Works chief Abhijit Sarma, KMSS leader Akhil Gogoi with many others had criticized Ms Mamata for her irrational statements. Assam also witnessed series of protest demonstrations against Ms Banerjee for her stand over the NRC updation in the State. At least three FIRs were lodged against the firebrand politician in different police stations of Assam (by Krisak Shramik Kalyan Parishad president Pradip Kalita, Guwahati based advocate SN Das and social activist Kailash Sarma) for her derogatory comments indirectly targeting the apex court of the country. The Patriotic People’s Front Assam (PPFA), in a strong statement, pointed out that Banerjee was trying to play a cunning game as a few Bengali politicians of yesteryears (including her predecessor Communist leader Jyoti Basu) along with a bunch of intellectuals for the sack of minority appeasement policies, had done the same during the Assam movement. The PPFA however appreciated the Bengali people living in Assam for their stand against those politicians who often run behind the cheap political gains out of any crisis. It also supported the demand raised by few nationalist Bengali politicians including Dilip Ghosh to have NRC updating process in West Bengal as well to segregate the illegal Bangladeshi nationals from the indigenous Bengali people.